I don’t know if I’m the only one who is in this situation: I can’t always play WoW on the same computer. In fact, I play on 4 separate computers: my crappy 5-year-old laptop that can barely run WoW, my brother’s newer computer, one of the super-nice systems that are available at my work (24-inch widescreens baby! ), and the work computer at the front that serves as our till. (My boss suggested that one. Did I mention that I love my boss?) I also use a multitude of mods that I like to keep up to date on all the computers and all my characters. All in all, this was a frustrating endeavor until recently. This demonstration will be performed with SyncBack because it’s what I know. Install it directly on your USB drive. Make sure that the drive is plugged in and when it asks for the installation folder, browse to the USB. Install it on your computer and then copy or cut the folder it creates to your USB. Then rev that program up and go to create a new profile. You’ll want to select the synchronization type. And give it a name. Now you’ll see this screen. 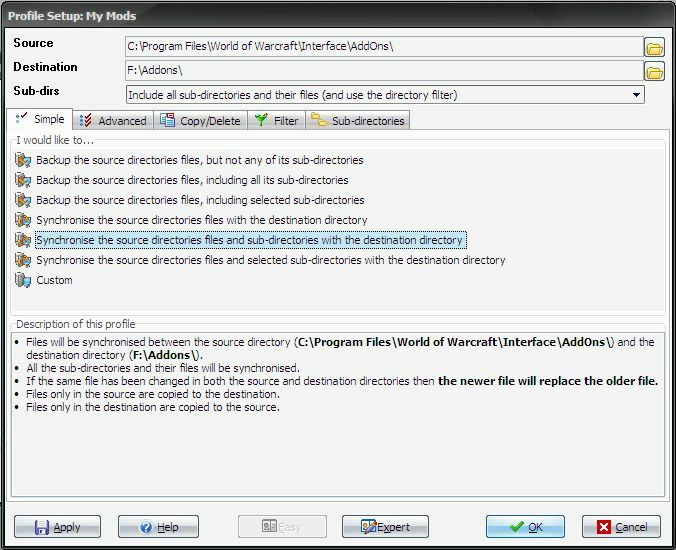 Now you’ll need to select your source, which will be the location where your mods are installed (WoW Directory\Interface\Addons) where “WoW Directory” is where World of Warcraft is installed on the computer. In my case, it’s C:\Program Files\World of Warcraft\Interface\AddOns\. Then select the destination, your USB drive. On this computer, my USB drive is assigned letter F and I created a folder called Addons to hold the addons. Press “OK”. It’ll ask you if you want to run a simulation, that’s up to you. Then you can hit the “Run” button located at the bottom of the window and it will sync your mod files. In this case, none of the files will be on your USB drive so it will copy all the files to there. 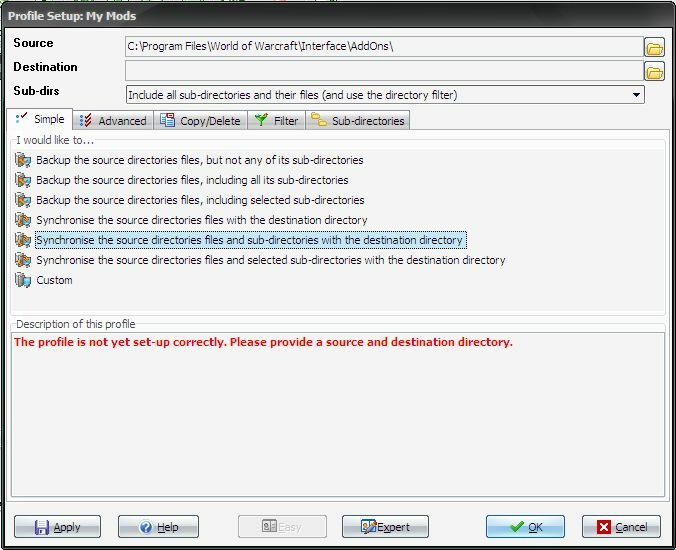 The next time you run, however, it will check the file modification dates and which file is newest in either the source or the destination will replace the older file in the source or destination. Simply said, it makes sure that the files stay up to date. To synchronize your mod and character settings, repeat the steps above. Only this time, choose your source as WoW Directory\WTF\Account\YOURUSERNAME where “YOURACCOUNTNAME” is a folder labelled with your account name in all caps. In my case, it’s C:\Program Files\World of Warcraft\WTF\Account\[account name removed for security reasons]. For the destination, select the USB drive as the destination again. In my example, my USB drive is assigned letter F and I created a folder named after my account name to hold these files. 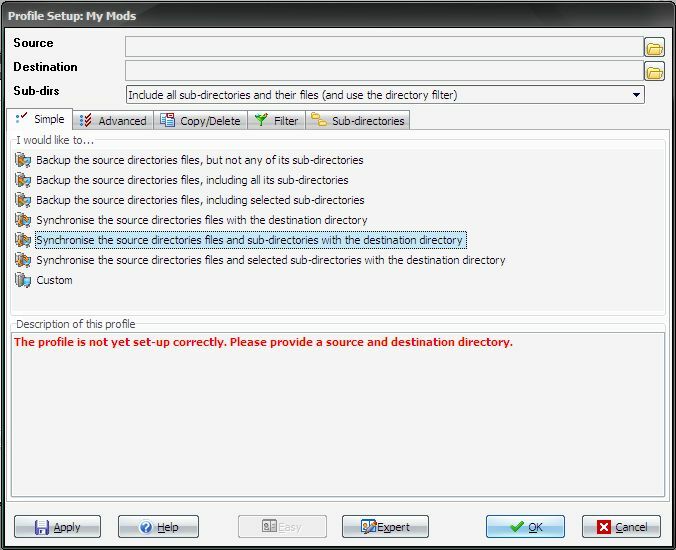 In the case of Syncback, these profiles will only be stored on the computer that you created them on. So if you created them on your home computer and then plugged the USB drive into your work computer and started Syncback, no profiles will appear. The profiles are still on your home computer, you will just have to make ones for your work computer as well. In most cases, this is actually a good thing. With all four computers that I play WoW on, each one of them assigns a different letter to the USB drive. To summarize this, you will have to repeat the profile steps on each computer you play WoW on but once they are set up, they will remain there for good. 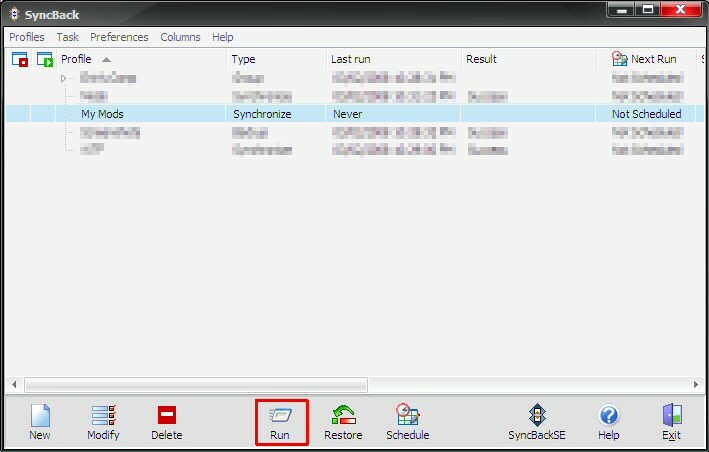 In order to keep all these files up-to-date, run these Syncback profiles before and after you play. A little bit of preparation means that you won’t have to worry about different settings and mods across different computers. If any of this needs any clarification, please comment below. The only thing I have left to say is Happy questing to all! Comments closed — Trackbacks closed RSS 2.0 feed for these comments This entry (permalink) was posted on Sunday, April 13, 2008, at 2:09 pm by Faeldray. Filed in Guides. What do you do that you get to play WoW at work? I need this job! Tell me, please! It’s an easy 3 step process. 1. Find a job at a gaming place. It’s horrible pay but hey, you get to play games at work. 2. Get a really nice boss that plays games himself while he’s at work. It’s harder for him to think up reasons for you not to play. 3. Make yourself look better than your co-workers by actually doing your work before you sit down to play. Eventually, your boss will notice you doing all the work and not letting yourself get distracted by shiny games. Then he make the offer to you. Just make sure you still do all your work or that privilege will be taken away from you. I do essentially the same thing although on the same computer; I play WoW on two different hard drive partitions. The big problem for me is that they are two different operating systems =P I wonder if there is an open source sync project out there that works on both Linux and Windows. @ Pike: I took a quick look around. I didn’t try any because I don’t have Linux 😛 but I found lists at Wikipedia and Fresh Meat. It will be so much easier. 😛 Thanks again ! is there a synchronization program that free and works with both Mac and PC?